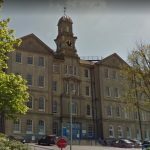 Hundreds of low-cost homes for working people in Brighton and Hove are being planned for the Brighton General Hospital site. 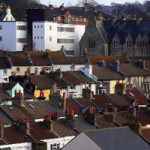 As many as 400 to 600 homes could be built by the £120 million joint venture set up by Hyde housing association and Brighton and Hove City Council. 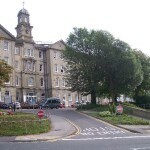 Council leader Daniel Yates said that he had met senior executives at Sussex Community Foundation NHS Trust which has been consulting the public about the future of the old hospital. The trust plans to keep a “health hub” at the steep Elm Grove site. One possibly is making use of existing buildings. But if the trust opts for a purpose-built hub, it could well be much closer to the road, making it easier to reach for people who are less physically mobile. 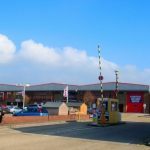 The first two joint venture sites are proposed on land north of Varley Hall, in Coldean Lane, Brighton, and at the former Belgrave Day Centre, in Clarendon Place, Portslade. More than 200 homes are proposed for the site in Coldean and about 100 for the land in Portslade. The joint venture has also been working on plans for a third site off Swanborough Drive at the top of Whitehawk where a further 100 or so homes are on the cards. Hyde and the council set up the joint venture to build at least 1,000 homes over five years for rent and sale for to local people working on low and medium incomes. The aim is that the homes should be genuinely affordable for people earning the national living wage, with half the homes for rent and half to buy through shared ownership. To view the Coldean plans online and to comment, visit www.hyde-housing.co.uk/coldean from Monday 16 July to Monday 30 July. To view the Portslade plans online and to comment, visit www.hyde-housing.co.uk/portslade from Monday 16 July to Monday 30 July. To view the consultation paper about the future of the Brighton General, click here. Could somebody please ask Hyde how much they are paying for their share of the land or perhaps perhaps ask somebody at the Council. Can someone tell me whether anyone else is actually building homes my children have a chance of being able to afford without having to move out of Brighton? Or is it really just Hyde and the council? @Marcus and Lotty – I assume you are trolling and not read the article. The General Hospital couldn’t get much closer to Whitehawk if it tried. Varley Halls, Coldean couldn’t be any closer to the outskirts of Brighton. And the other one is in Portslade. So all exactly as you ask. Maybe you need to get a map? Or actually learn about the city you claim to live in. Just one Question. I am from whitehawk, recently i’ve been looking into the history of this site and know that the first settlers to Brighton lived on / Near that site. Would this new development protect the site of further hide the starts of our local culture? Just a question. Id also like to know when this site was first earmarked? this is a huge chunk of the homes so this much have been on the drawing boards for a while. There are also what 150 planned for North Whitehawk. We need new homes, no one is denying this, but i am concerned these consultations will not reach the many when most are convieniently off on there holidays. Whitehawk Camp is across the road, the other side of the racecourse. Only 7000+ years old or so. (5500BC according to most records) Love the fact there have been people up here on Whitehawk before they put them tatty old stones up at Stonehenge. Isn’t the hospital the old Victorian Workhouse? That has a history of its own, but I can’t see much ancient history being left in the grounds of the site. A lot of that will have been dug over when that building went up. But there is the Workhouse culture to preserve in some manner. We moved so far forward in the 20th Century that we should never forget what we used to do with “the poor” in the past. (And no doubt certain Tories would love to see the Workhouse Return). That is the kind of history we need to remember. How bad it was before the labour party realised it was a good idea to look after the population.